 A river of passions flows in Valsesia: it rises at 4299 metres from the "Colle del Sesia" (hills) and extends down to the Po river, after having covered the entire province of Vercelli and collected the waters of the numerous streams, great and small. This river was once the frontier line during the time of the Celts and also knew how to stimulate the interest of Leonardo da Vinci, who designed a series of canalizations on behalf of Ludovico Sforza. Today, this river ignites the passion of many of those interested in sports: the overwhelming passion for canoeing, kayaking, rafting and hydro-speeding acts as a push to challenges closer in contact with the live water; the historical passion for fly fishing, characteristic of these banks, handed down by generations respecting the tradition; the deep passion for the uncontaminated nature of the Sesia and its valley: clear waters, evocative sights and scenes of majestic beauty. The passion for Italy's beautiful river cannot be resisted. In 2002, the International Year of the Mountain, it was the exciting competition field for the World Canoeing and Kayaking Championships. For these sports, the Sesia is best in late spring, between May and June, and along the Campertogno/Varallo stretch.